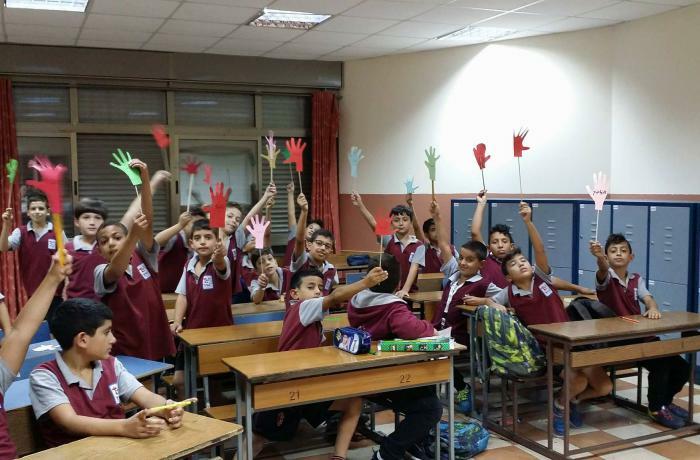 Christian religion among exam topics in the Palestinian Schools. Bethlehem (AsiaNews) – At the next General Secondary Education Examination (Tawjihee), Christian and Muslim students will have to answer exam questions about their own religion. This is the first time that the Christian religion is an official subject in Grade 12 exams, said Brother Marwan Di’Des, a Franciscan friar and director of the Holy Land School on Bethlehem where interfaith dialogue is a permanent feature. This year (2018-2019), the school year in the Palestinian territories began on 29 August, making the younger pupils happy, not so much high school students, an amused Di’Des noted. At the end of the year, grade 12 Christian students will be tested on ‘Christian Education’. This follows 13 years of discussions and efforts. Finally, the Palestinian Ministry of Education adopted a textbook drafted in cooperation with the Churches in Palestine to prepare students. Equality between Muslim and Christian students is a major issue in the Bethlehem school, where 67 per cent of students are Christian and the rest are Muslim. Every year, the school organises new activities following suggestions from the students themselves. The aim is to “make the school interesting, enticing”. Some of suggestions are aim at teaching coexistence and brotherhood, starting with shared values.